Mike was a late starter in academia, first attending university in his early thirties to gain his BSc, MSc and PhD in Ecology from Massey University. He began lecturing there in ecology and environmental science in 2003. After seeing first-hand the decline in freshwater health in New Zealand, he became an outspoken advocate for environmental protection. Mike has received a number of awards for this work, including an Ecology in Action award from the NZ Ecological Society (2009), an Old Blue from Forest and Bird (2011), a Tertiary Education Union Award of Excellence for Academic Freedom and contribution to Public Education (2013), the Royal Society of New Zealand Charles Fleming Award for protection of the New Zealand environment (triennial, 2013), the Morgan Foundation inaugural River Voice Award (2015), the inaugural New Zealand Universities Critic and Conscience award (biennial, 2016) and was a semi-finalist for the 2018 Kiwibank New Zealander of the year. He has been an Associate Editor of Marine and Freshwater Research Journal (CSIRO; Australia) since 2015, and an Editorial Panel Member for Transylvanian Review of Systematical and Ecological Research since 2010. 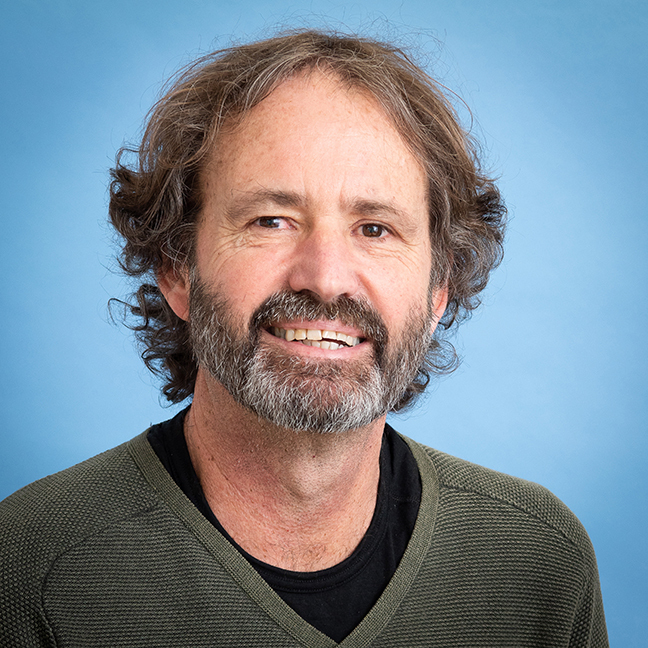 Mike has developed bio-assessment tools used by many regional councils and consultants, and has published scientific papers in many fields from artificial intelligence and data mining to the freshwater ecology of sub-Antarctic islands. He has been working for two decades at the interface of science and policy in New Zealand with a goal of strengthening connections between science, policy and real outcomes to address the multiple environmental issues facing New Zealand. Joy, M. K. (2015). Water quality issues in New Zealand - stressed ecosystems and future solutions. The Journal of the New Zealand Institute of Primary Industry Management, 19(2), 22-27. Weeks, E., Kingsford, R. T., Taylor, A., & Joy, M. K. (2014). Protecting the future of New Zealand’s freshwater ecosystems. Society for Conservation Biology, 1(1), 1-10. Joy, M. K. (2014). New Zealand’s freshwater disaster. New Zealand Science Review, 71(4), 97-104. McEwan, A. J., & Joy, M. K. (2013). Habitat use of redfin bullies (Gobiomorphus huttoni) in a small upland stream in Manawatu, New Zealand. Environmental Biology of Fishes, 1-12. Joy, M. K., & Salmon, G. (2011). 100% pure? Fish and Game New Zealand, (Special Issue 33), 8-15. Joy, M. K. (2017). Chapter 7. Fisheries and wetlands: Porirua Ki Manawatū Inland Waterways Historical Report. Wellington: Te Rangitāwhia Whakatupu Mātauranga Ltd.
Potter, H., Spinks, A., Joy, M.K., Baker, M., Poutama, M., & Hardy, D. J. (2017). Porirua ki Manawatu Inland Waterways - Historical Report: Porirua ki Manawatu Inland Waterways - Historical Report. Wellington, New Zealand: Crown Forestry Rental Trust. Joy, M. K. (2016). Affidavit of Dr. Michael Kevin Joy in Support of Claimants in the Waitangi Tribunal the National Freshwater and Geothermal Resources Inquiry: Woodward Law. Joy, M. K. (2016). Fish Index of Biotic Integrity (IBI) for Horizons Regional Council. Palmerston North: Horizons Regional Council. Report and associated software. Joy, M. K. 2013. Freshwater fish predictive modelling for bioassessment; a scoping study into fish bioassessment models in New Zealand; A report to the Ministry for the Environment. Wellington. Joy, M. K. 2013. A fish index of biotic integrity for the Tasman Nelson District. Massey University. Joy, M. K., B. O. David, and M. D. Lake. 2013. New Zealand freshwater fish sampling protocols Pt.1: Wadeable River and streams. Field guide. The Ecology Group, Institute of Natural Resources. Joy, M. K., B. O. David, and M. D. Lake. 2013. New Zealand Freshwater Fish Sampling Protocols: Part 1- Wadeable Rivers and Streams. Massey University, Palmerston North. Joy, M. K. and N. K. Atkinson. 2012. Salmonids and Native Fish in New Zealand; Are Trout to Blame for the Decline in Native Fish? , A report to Fish and Game New Zealand. Wellington. Worner, S. P., Takayoshi, I., Leday, G., & Joy, M. K. (2010). Surveillance Tools for Freshwater Invertebrates; MAF Biosecurity Technical Paper: Bio-Protection Research Centre Lincoln University. Joy, M. K. (2017, March 31). The new realities of food production. At the annual Animal Rights Conference AR17. Lower Hutt. Joy, M. K. (2017, February 14). Looking in – what is the perception of the environmental performance of sheep and beef farms? At the 2017 Beef & Lamb New Zealand Environment Conference. Joy, M. K. (2016, February 17). Freshwater management on farm. Presentation to Farmwise Consultants Hamilton LIC. Joy, M. K. (2016, March 21). New Zealand's freshwater future. Presentation to the Christchurch branch of the Royal Society. Joy, M. K. (2016, October 1). Polluted Inheritance. The annual Wakim Memorial Lecture Pax Christi Aotearoa-New Zealand Auckland. Joy, M. K. (2015, October 29). Environmental Protection Failure New Zealand a case-study. Invited plenary at the EIANZ Annual Conference. Challenging the Status Quo: Excellence in Environmental Practice. Perth. Joy, M. K. (2015, August 17). The importance of true clean green New Zealand to the Tourism industry. Keynote presentation to The Tourism Export Council AGM Dunedin. Joy, M. K. (2015, August 19). Environmental impacts of Forestry on New Zealand freshwater. In PF Olsen Forestry Contractors, Rotorua. Joy, MK. (2015, March). State of our awa. Presented at Ngati Kahunugunu annual Fishhook Summit. Napier Sailing Club. Foote, K., & Joy, MK. (2014, November). Role of the Dairy Industry in New Zealand's ecological decline. Presented at New Zealand Ecological Society Annual Conference. Massey University, Palmerston North, New Zealand. Joy, MK. (2014, August). Will the National Objectives Framework protect our freshwater species, and does it matter? Presented at Environmental Defence Society Conference - Navigating Our Future. Auckland, New Zealand. Joy, MK. (2014, November). New Zealand’s shame: the commercial harvesting of threatened endemic and native fish species. Presented at New Zealand Ecological Society Annual Conference. Massey University, Palmerston North. Joy, M. K. 2013. Where we are now; freshwater reality (Keynote address). Manawatu River Solutions, Massey University Palmerston North. Joy, MK. (2013, September). White Gold - Dairy Production in New Zealand. Presented at Black and White Gold, Annual Conference of the Resource Management Law Association. New Plymouth, New Zealand. Joy, MK. (2013, November). Freshwater crisis in New Zealand. Presented at Strange Baroque Ecologies Symposium. City Gallery, Wellington. Joy, M. K. 2012. Freshwater Science in New Zealand (Plenary). New Zealand Freshwater Sciences Annual Conference. Schwendel, AC., Joy, M., & Fuller, IC. (2011, May). A macroinvertebrate index to assess stream bed stability. Presented at HydroEco 2011, Hydrology and Ecology: Ecosystems, Groundwater and Surface Water - Pressures and Options. Vienna, Austria. Joy, MK. (2011, March). How do fish like poor water quality? Presented at New Zealand Land Treatment Collective Annual Conference. Palmerston North Convention Centre, New Zealand. Joy, MK. (2011, June). New Zealand's 100% Pure, Clean Green Myth. Presented at Royal Forest and Bird Annual General Meeting. Mercure Hotel Wellington. Joy, MK. (2011, August). How pollutant impacts on freshwater ecology and how the "water quality" measures used now just don't measure up ecologically. Presented at The New Zealand Trade and Waste Forum Inaugural Conference. Napier, New Zealand. Durpoix, D., Joy, M., & Perry, P. (2010, July). Environmental attitudes of New Zealand farmers: The importance of affect and direct contact with nature. Presented at International Symposium on Environmental Sociology and Sustainable Development. Gothenburg, Sweden. Joy, M. (2010, November). New Zealand's freshwater crisis: The triumph of economists over ecologists. Presented at Biodiversity: 2010 and beyond. University of Otago, New Zealand.